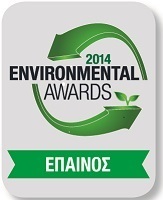 On the 18th of December 2013 the awarding ceremony of the 2014 Environmnental Awards took place at the Athenaeum Intercontinental Hotel in Athens, Greece. More than 300 high-ranking business executives, mayors and represenatives of public institutions attended the event which recongnized and awarded the contribution of various businesses to environmental protection. 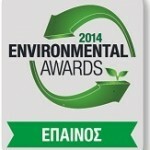 WASTEENERGY was distinguished for the positive impact of its innovative energy technologies to the environemnt and it was awarded with a diploma for its contribution to environmental sustainability.